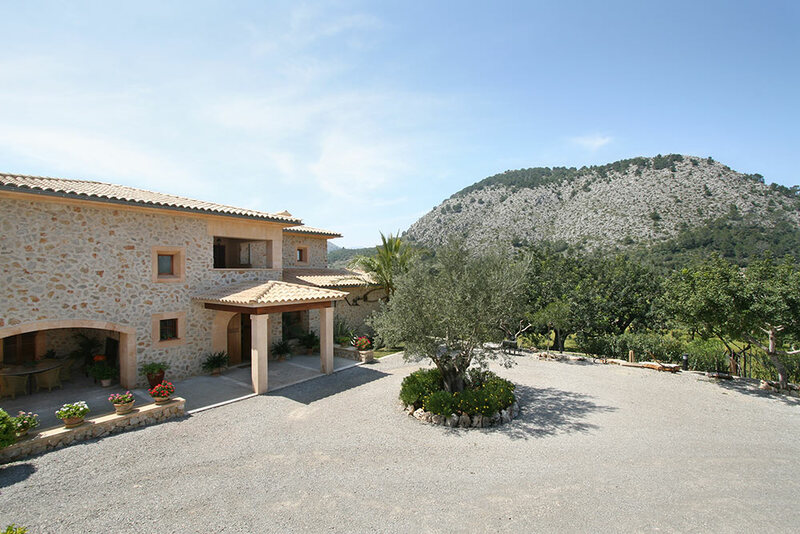 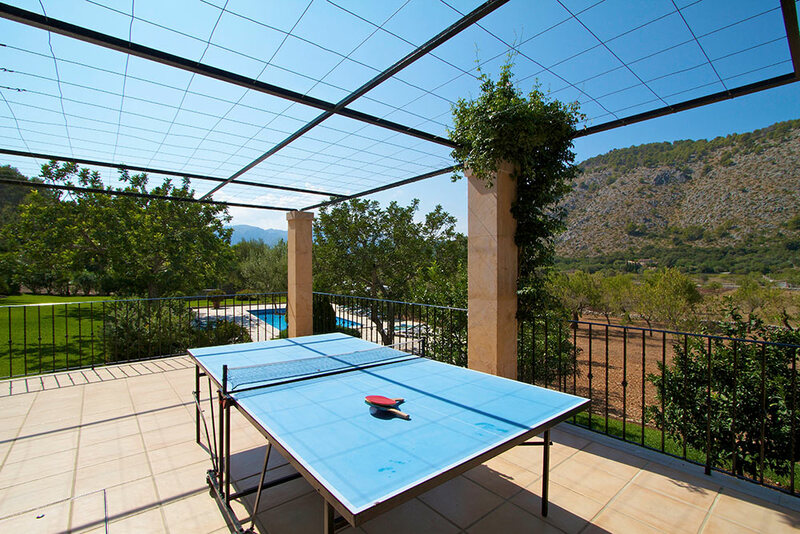 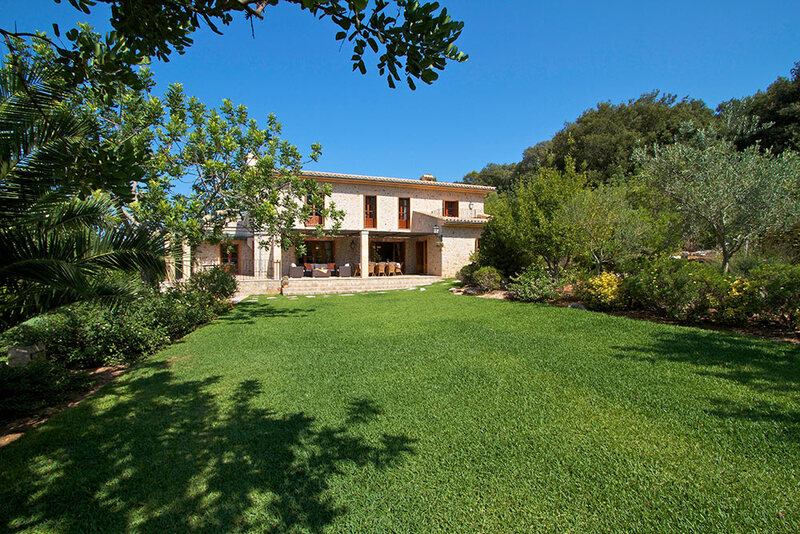 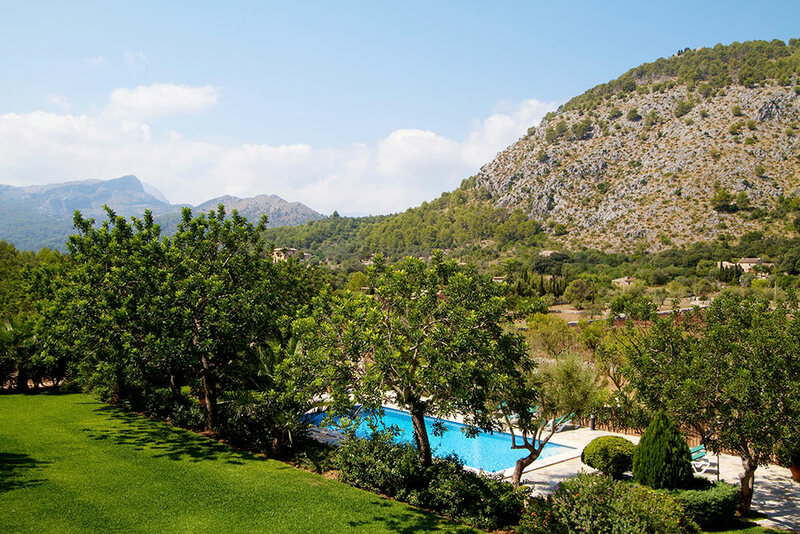 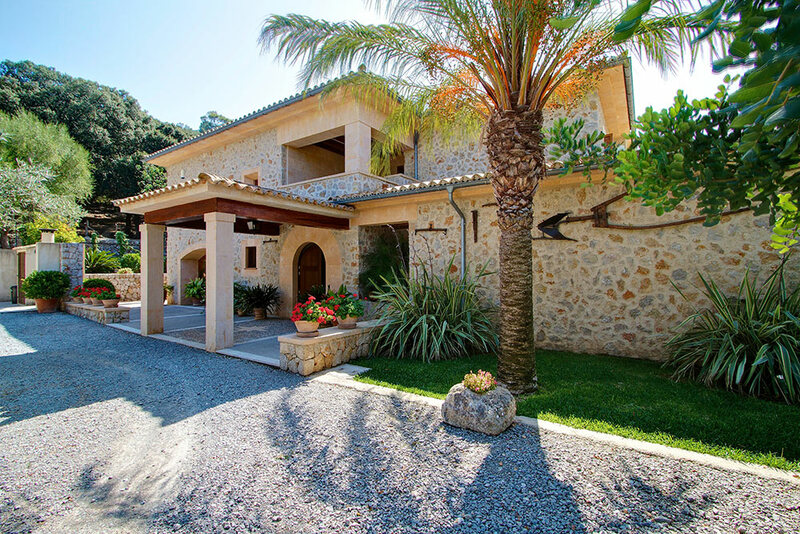 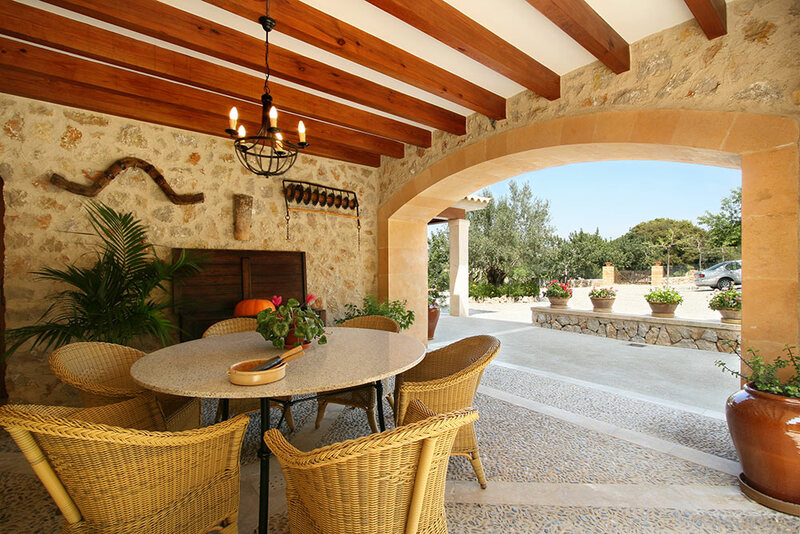 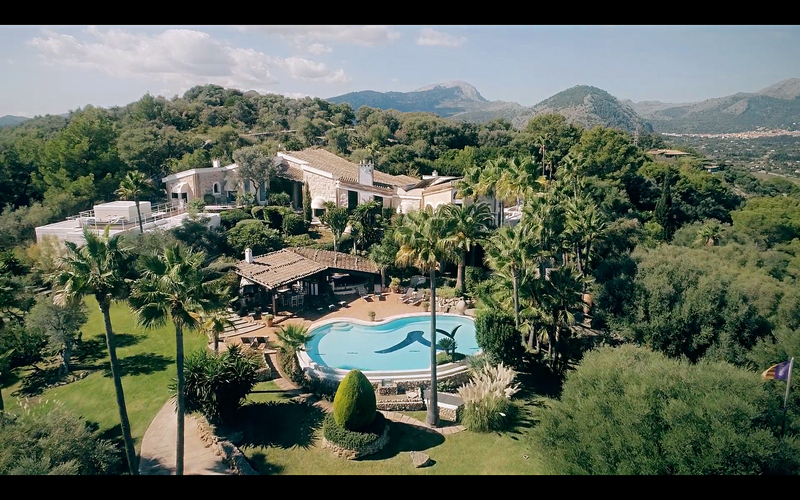 Only 2 km from the idyllic village of Pollenca extends this beautiful estate Can Carmelo. 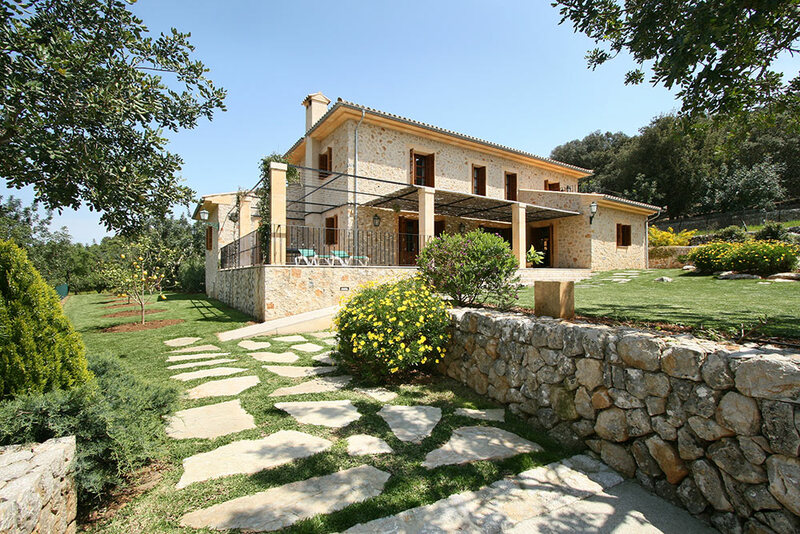 A private lane leads upwards between vegetable fields to the entrance of this luxurious villa. 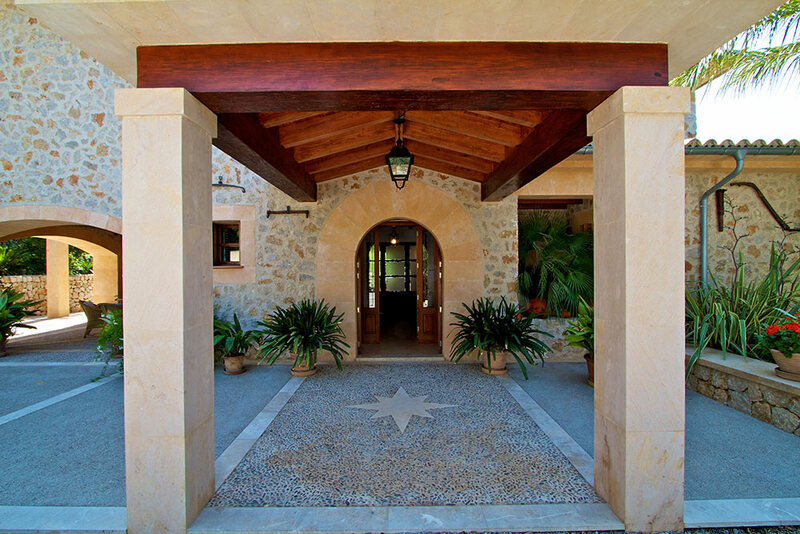 After entering the front door one will find the amazing entrance hall. 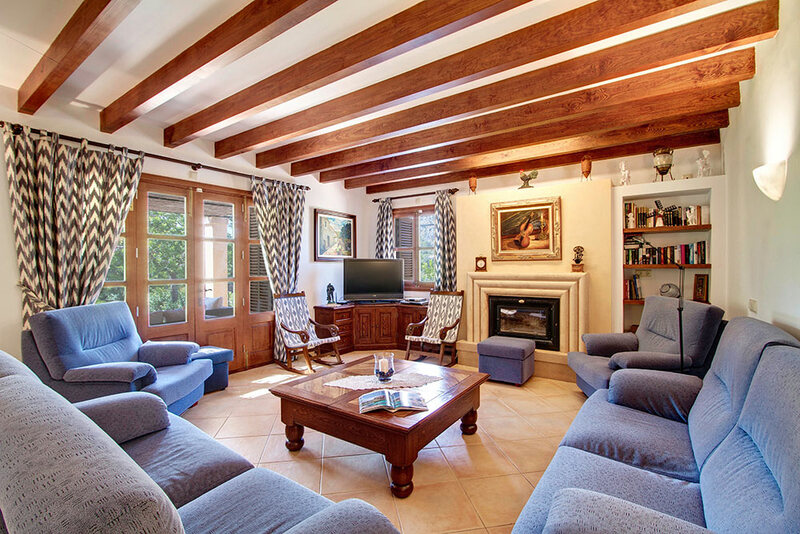 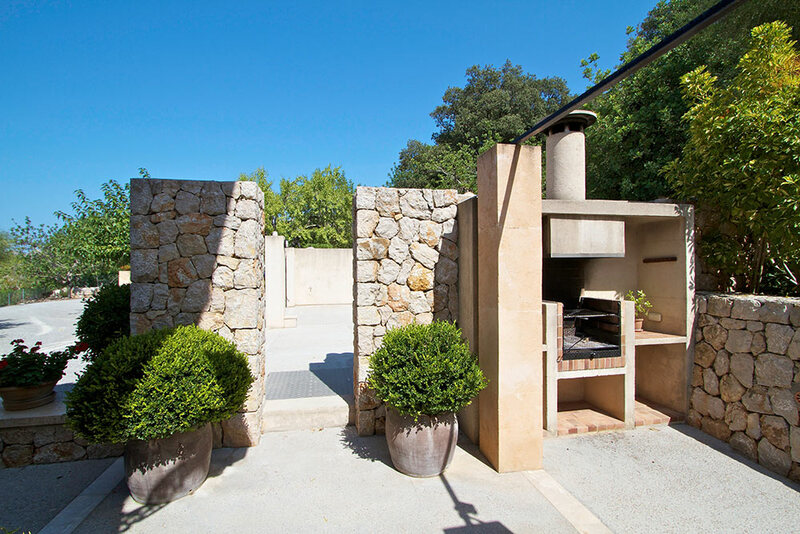 In front of it you come into the 40 m2 living and dining room with a beautiful fire place. 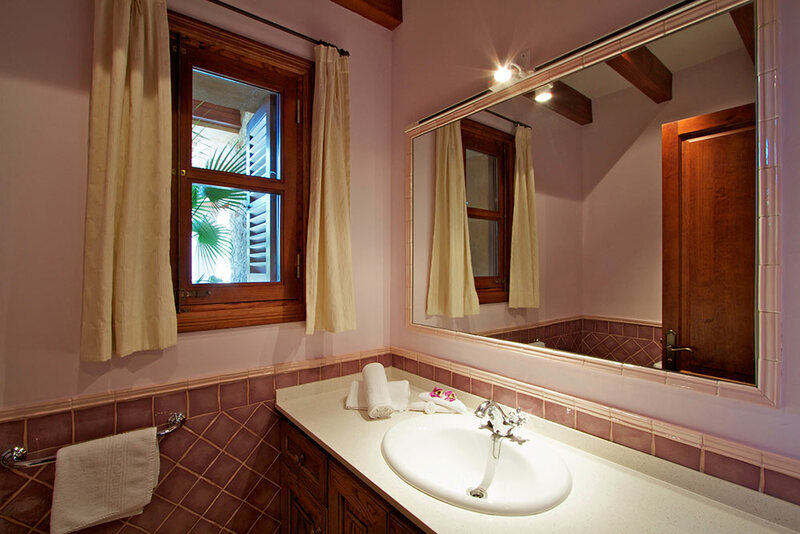 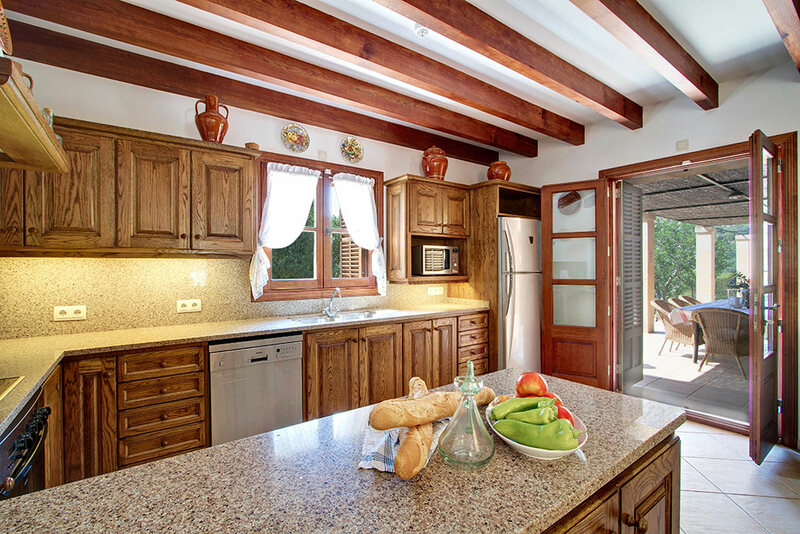 It is very comfortable furnished and the decoration is held in the traditional mallorcan style. 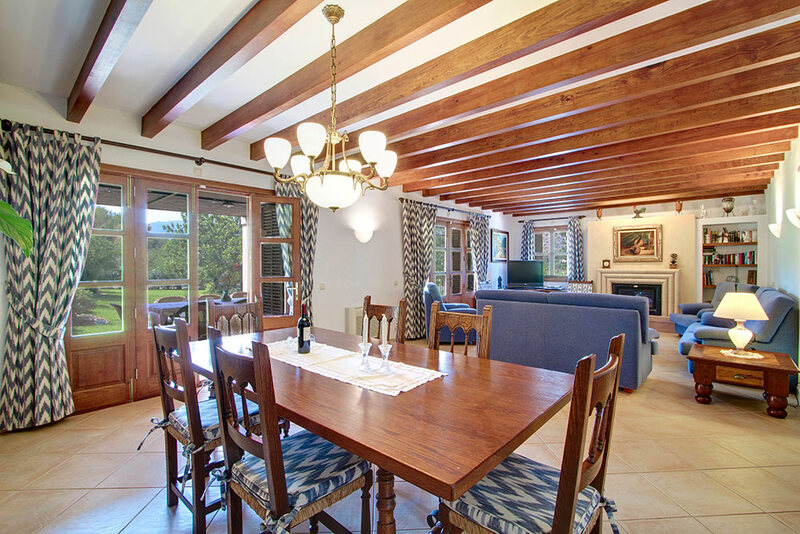 Impressive glass-doors open to a panorama terrace with the most spectacular view over the verdant pastures of the valley towards the mountains. 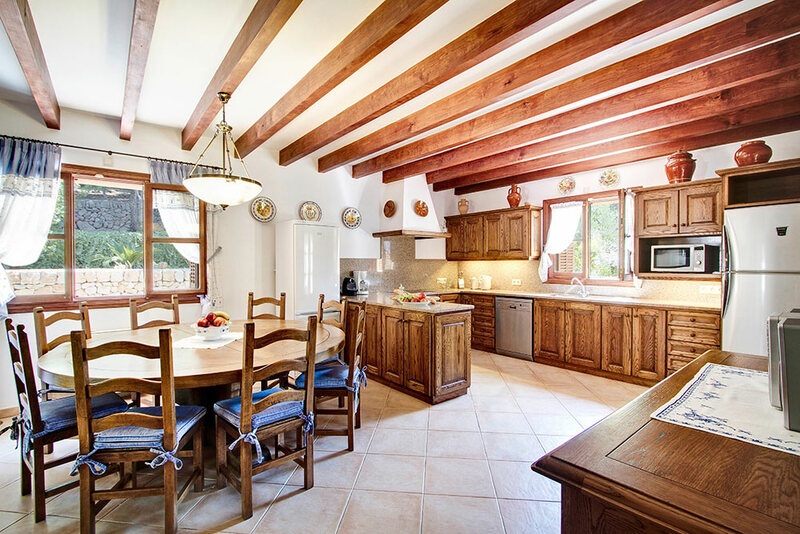 From the living room as well as from the hall you can enter into a large, well-fitted kitchen. 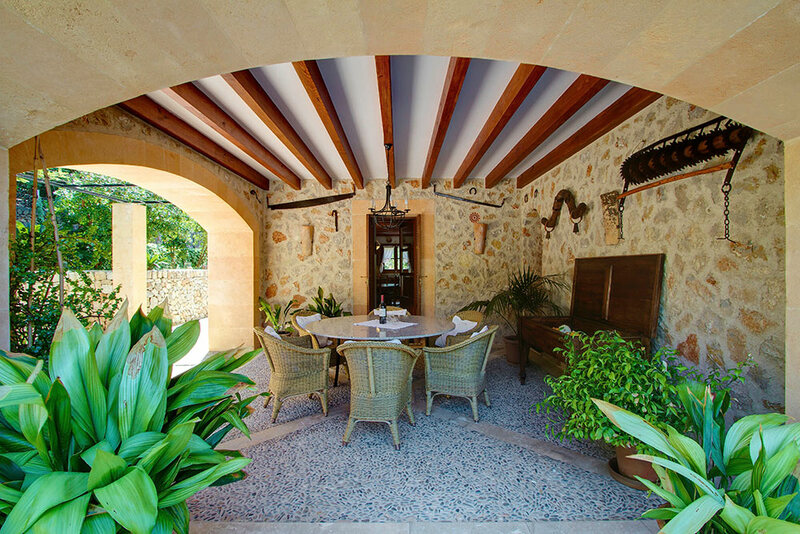 There is an exit to a pleasant, arched dining-terrace with BBQ in front. 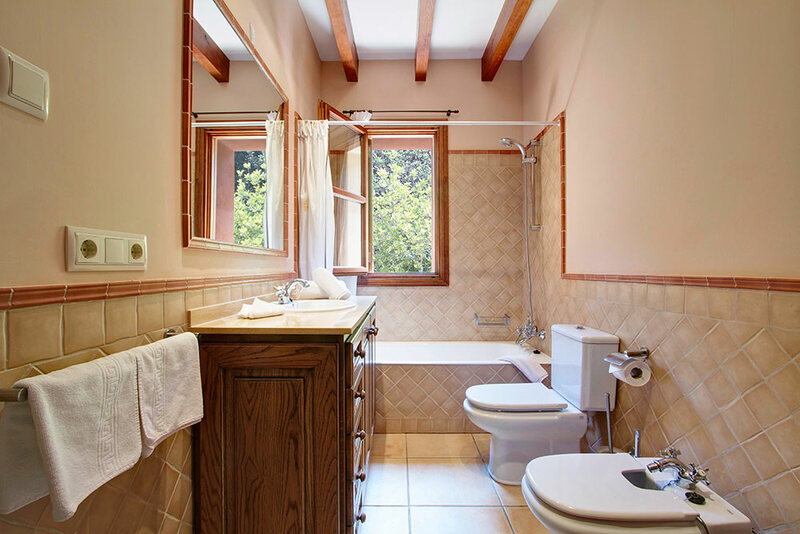 From the main hall a small corridor leads to a bathroom with toilet as well as to a double bedroom with a king-size bed and a bathroom (tube/ shower/ WC) en-suite. 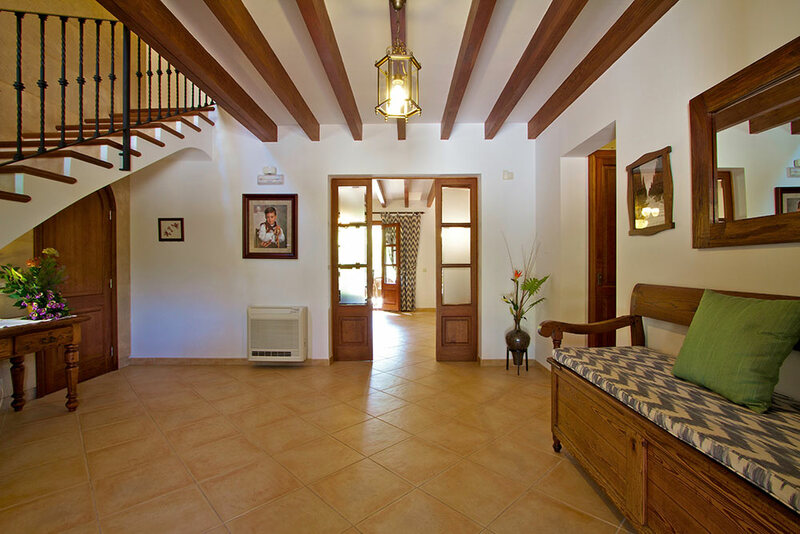 Stairs lead up from the main hall to four double bedrooms. 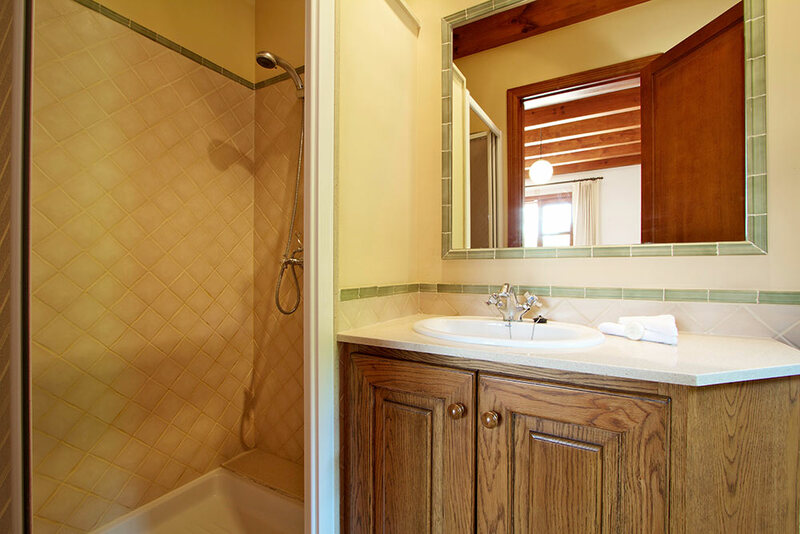 The biggest one with bath en-suite has got a pleasant dressing-room. 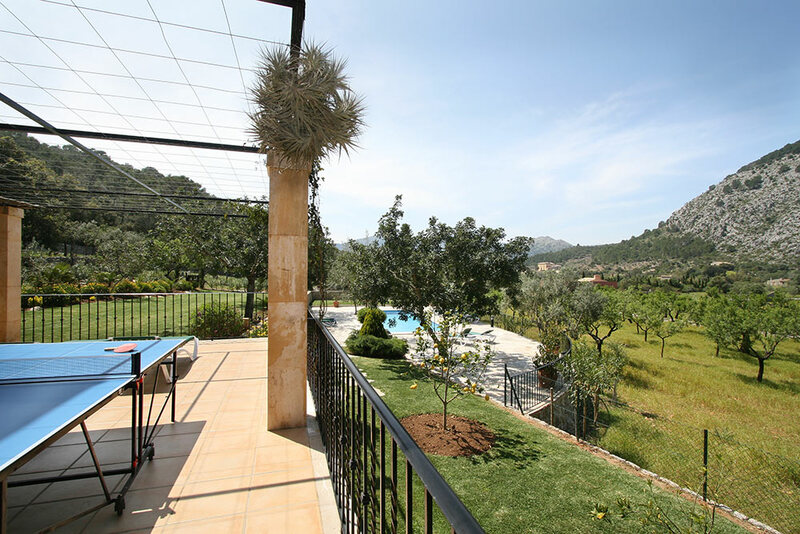 One, with bath en-suite, has got an own terrace with wonderful views. 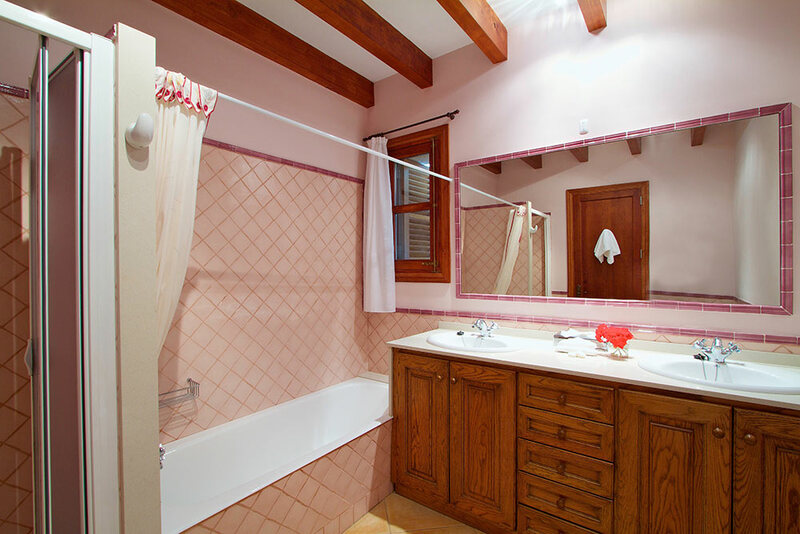 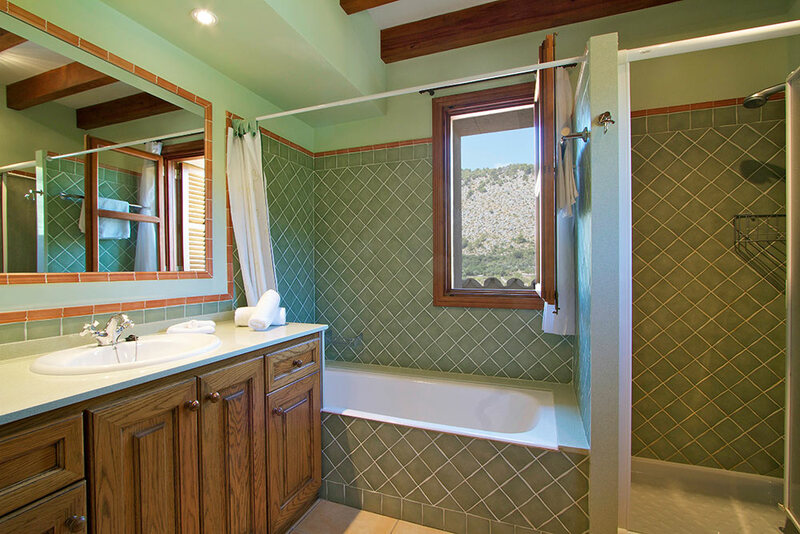 The two other bedrooms share one bathroom with a shower and a toilet. 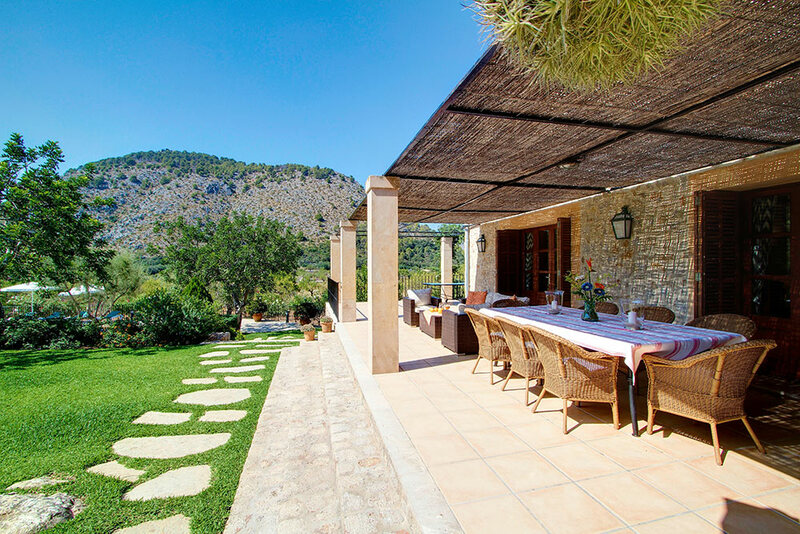 All beds have the measurements: 0,90 m x 2,00 m.
You can find another beautiful terrace with a view over the garden and pool on the backside of the house. 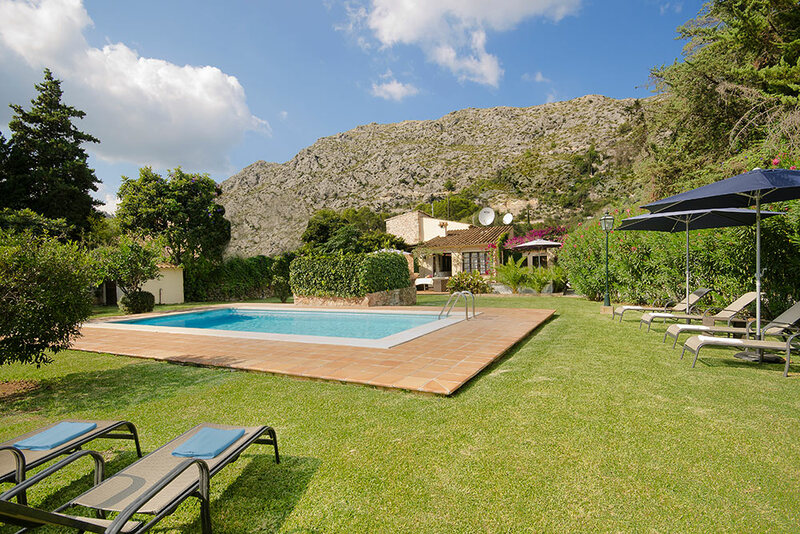 The swimming pool, 12m long, is located several metres from the Villa and surrounded by a large panorama terrace in the midst of beautiful lawns. 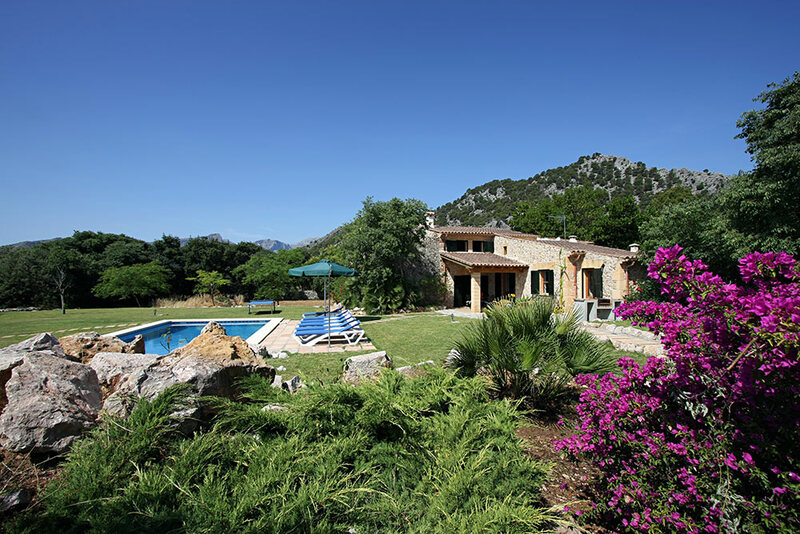 This wonderful location in a magnificent unspoilt valley has also its own forest filled with oak-trees and other Mediterranean plants. 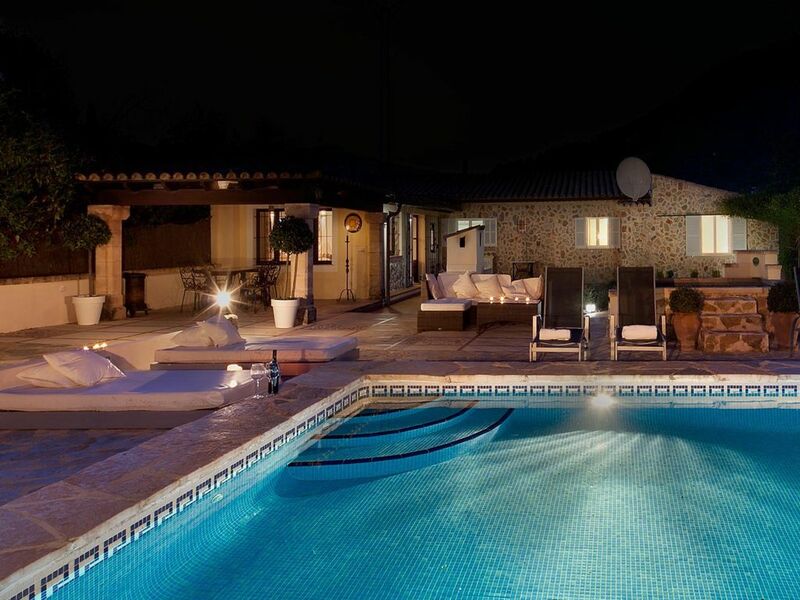 Here you find complete tranquility, a heaven of peace.